I was very pleased when the owner of Sassy Scrappers asked me to be a Guest designer for the month of November. She sent me these exquisite Pink Paislee papers from the Color Wash collection along with some of their embellishments and some Prima flowers. 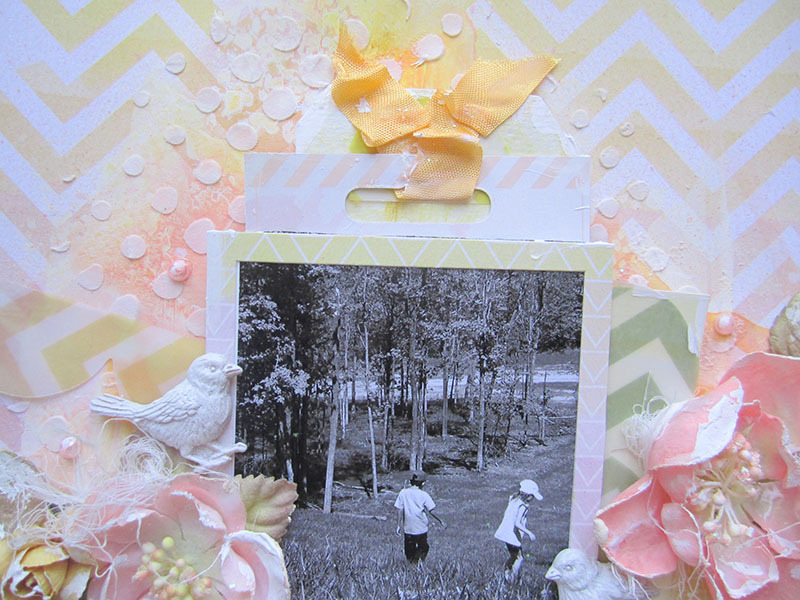 I really love this collection from Pink Paislee as its perfect for your mixed media projects. 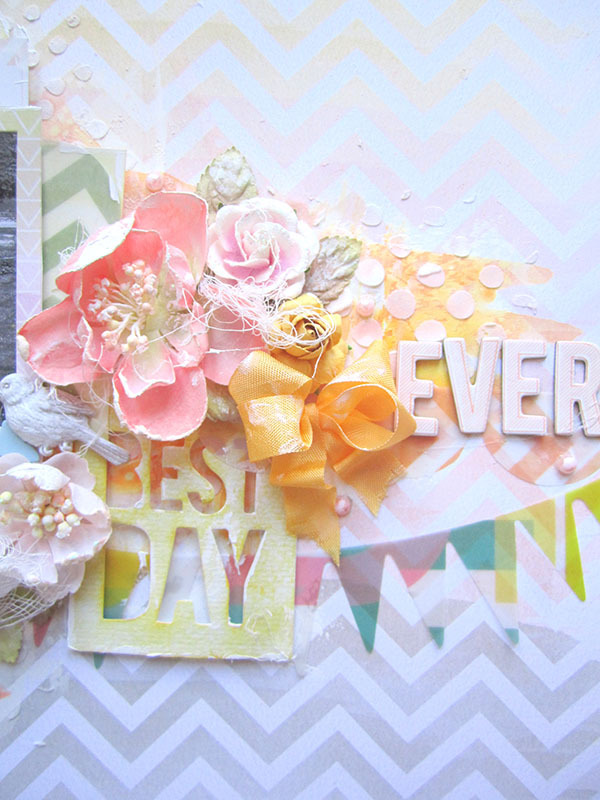 My favorite thing about it is the pastel colors combined with the geometric patterns. This is a picture of my kids running down a grassy hill. They were so free to just run up and down and I was so happy to take these pictures. wowwww I follow your blog frequently, but you are busy with your DT member and guest DT but that's not surprising you delivers supper and beautiful work and this layout is one of them. Totally gorgeous, and so inspiring, Keren! So beautiful!! LOVING the colors and the flowers!!!! This is gorgeous! 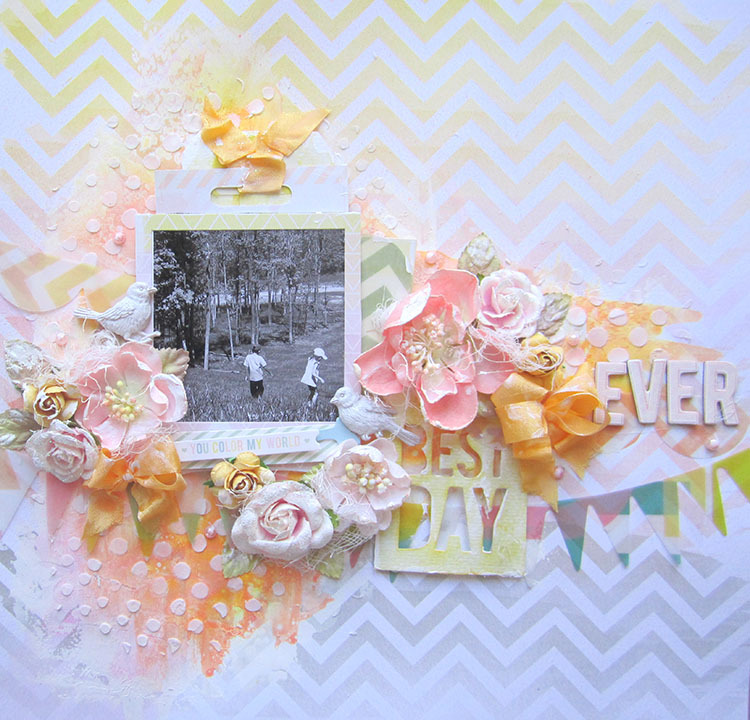 I love the misted chevron back ground and all the flowers!! 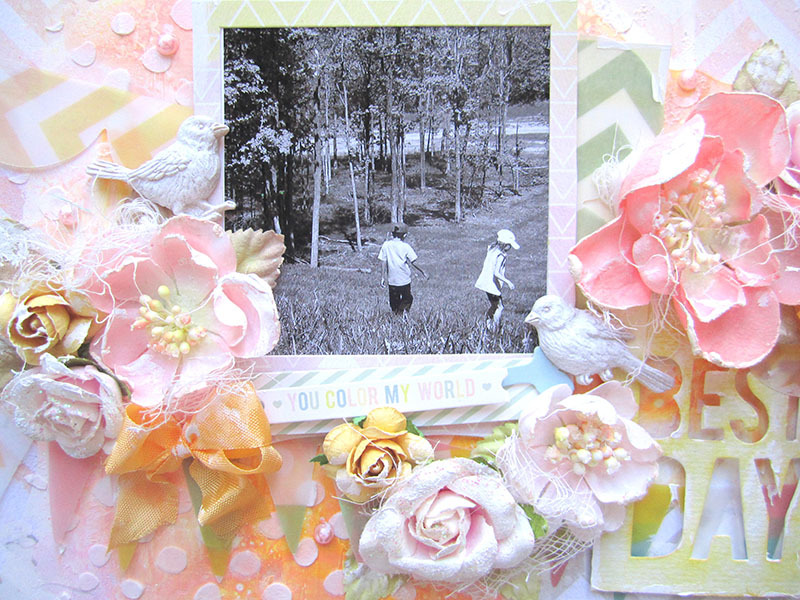 that orange seam binding really adds a lovely pop of color too.. and love the born 2 be free layout too.. love the masked square back ground.. you certainly keep busy scrapping!! 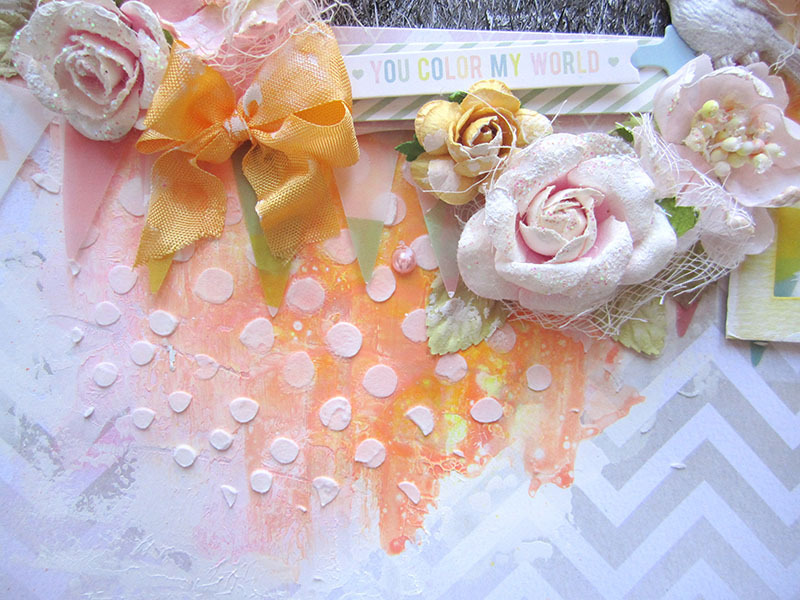 Love the soft side of these hues, you make them shine! So soft and beautiful! Fabulous page!